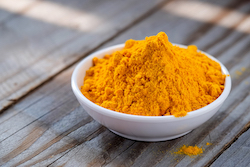 When dietary modification, stress management, topical solutions, and mobility exercises are not enough to bring lasting relief from pain, I often suggest taking turmeric for its anti-inflammatory properties. According to a comprehensive summary of studies looking at the effects of taking turmeric - published in the Octboer, 2007 issue of Alternative and Complementary Therapies - turmeric is more effective than conventional anti-inflammatory medications, with no undesirable side effects to worry about. Arthritis, dementia (like Alzheimer's disease), and all types of cancer are common health challenges that benefit from regular intake of turmeric. Where there is chronic repetitive stress on the body, as is the case for runners, cyclists, those who play weight-bearing sports, and people who do physical labour around the home or at work on a regular basis, in my experience, there is substantial benefit in taking turmeric daily. I have come to love making a mug of organic turmeric tea to begin and end my days. 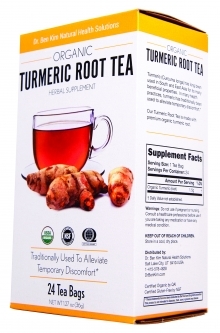 Our turmeric tea is made with premium organic turmeric, and is certified organic by the USDA. Each box, made with 100% recycled paperboard, comes with 24 English pillow-style tea bags that are oxygen bleached, not chlorine treated. 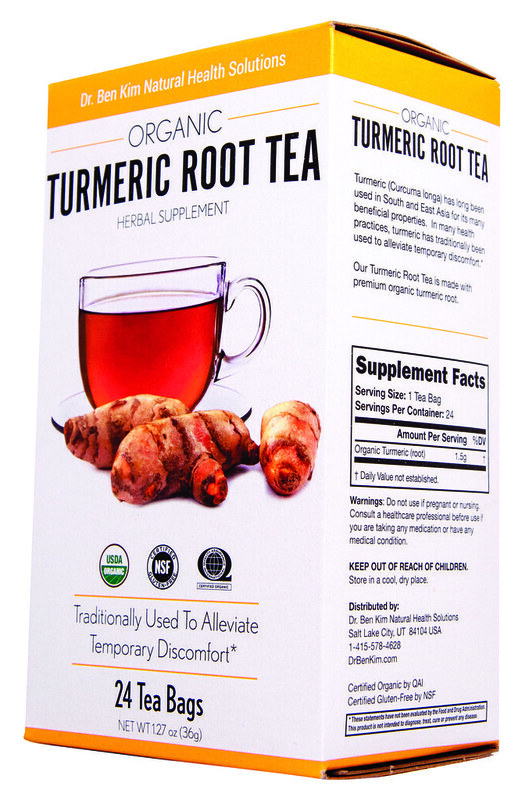 Our organic turmeric tea is naturally free of caffeine. Place one tea bag in a mug and add 8 ounces of boiling water. Cover and steep for 10 to 15 minutes. Gently squeeze bag and remove. Add natural sweetener and non-dairy milk if desired. Please note that we use a set shipping table to calculate shipping fees plus processing costs at our warehouse. For example, for all deliveries in the continental United States, the set fee for all orders up to $200 is $12, which covers UPS Ground plus packaging and labor costs with our warehouse. We understand that for smaller items like a box of one of our organic teas, the shipping cost is high. We suggest ordering multiple items or waiting until you can use more than one of the items at our catalogue to reduce the per-item shipping cost. Thank you for understanding that we don't bake shipping costs into higher product prices; we prefer to have a modest profit margin on our products to maintain fiscal viability, and be transparent about our shipping costs. Everyone knows how good turmeric is for us, but not everyone knows how good (and good for you) this tea is. I used about 10 ounces of water and the tea was perfect (in my opinion)! I was curious what the tea bag contained, and after looking, I couldn't bear to throw away the beautiful, bright 100% turmeric! So, I added it to my "power drink", made with Dr. Kim's greens powder and vitamin C. Thank you, Dr. Kim, for providing such high quality foods for us.